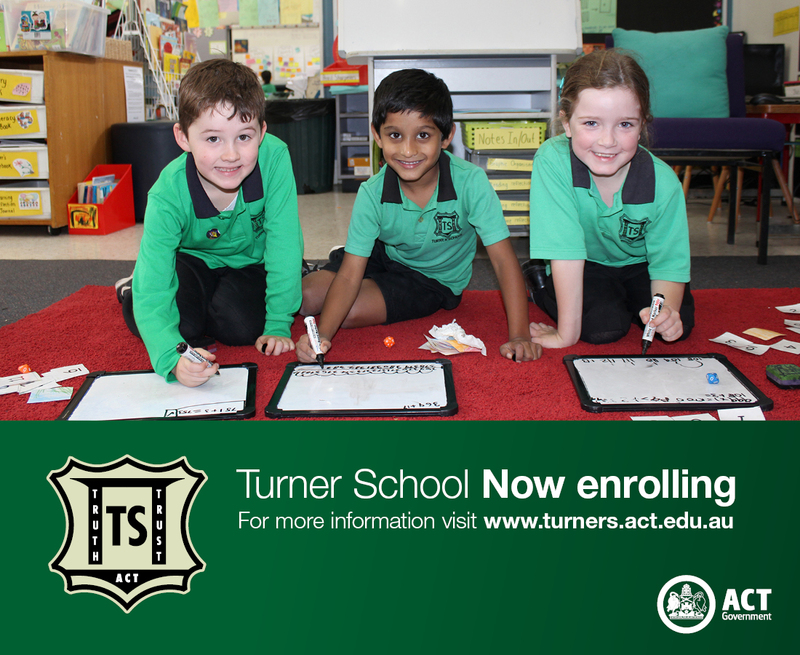 At Turner we aim to provide an enriching, inclusive and safe learning environment. Our preschool has been awarded an overall exceeding rating against the National Quality Standards. In August each year Turner holds a special festival. 2016 was a STEM festival year and 2017 a Artists & Writers Festival year. Enrolment applications for term 1 of 2020 open on Monday 29 April 2019 at 6:00am and must be submitted online using the Education Directorate's online application form. The closing date for 2020 enrolments is Friday 7 June at 5:00pm. All ACT students are guaranteed a place in an ACT Public School, within their schools PEA (Priority enrolment Area). 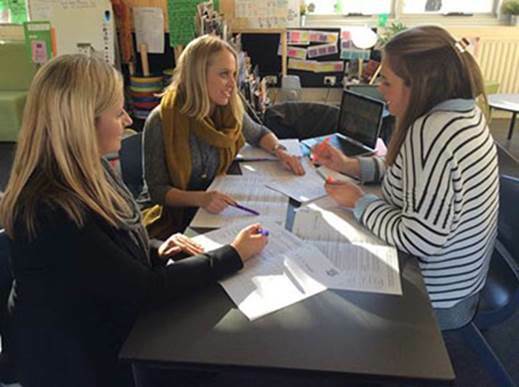 Information about the enrolment assessment criteria and priority enrolment areas can be found at: https://www.education.act.gov.au/school_education/enrolling_in_an_act_public_school. From 30 June 2018, after applications have been processed, parents/carers will commence receiving advice from the school on enrolments. Please note, that the order in which applications are received is not a factor in schools determining places and as a result, there is no requirement to submit your application form on the first day applications open. All ACT children are guaranteed a place in an ACT Public School, from preschool through to college. On Wednesday the 2nd of May we held an ANZAC ceremony in the Indigenous garden at Turner School. Kindergarten to year 6 students, teachers and parents gathered to help commemorate this important day. It was great to see those who attended show their respect during the ceremony, especially during the minute silence. A special mention and congratulations to Nina B who played The Last Post, and Sara E who played The Rouse. These are especially difficult pieces of music and they both did an amazing job. Thank you to each class for creating a beautiful wreath for our SRC reps to place on their class’ behalf. These wreaths are now on display in the corridor near the front office. A couple of memorable special moments from the ceremony included our talented teacher musicians playing ‘I was only 19’, and Emma P reading her beautifully and thoughtfully written poem ‘ANZAC’. Finally, a special thanks to everyone who helped out at the ceremony, and to Charlotte and Georgia who organised and ran the assembly. This year the Turner School Swimming Carnival was fun filled and it was wonderful to see all of the houses cheering their peers on during the swim races. The rotation activities including water park play, beach volleyball, Rob the Nest and many others allowed all students to have the opportunity to participate and enjoy the day. A huge thank you to all of the amazing volunteers from our Turner community and Lyneham High. Congratulations to our teachers, Nick, Eddie, Alex and Lyndsey, for winning the teacher v’s house students relay race. Thursday 15 February, our 5/6 students and staff headed to Birrigai for the 2018 Leadership Retreat. The team spent one night at Birrigai and returned on Friday afternoon. The retreat provided wonderful opportunities through fun and exciting activities for them to build and strengthen relationships. This was the first time that the 5/6 Leadership Retreat was held at Birrigai and they all made the most of their terrific facilities. A warm welcome to the 2018 school year to our returning students and families and to our new students and families who have joined our Turner School community. The year has started very smoothly as the students settle into their classes and routines. It was wonderful to see our returning students remember the Turner School SCARFF values as they welcomed our new students.